Don’t tell your loved ones you care about them – show them. If you’re gift shopping, buy something valuable, inexpensive and unique: an emergency kit. This season, I opted out of the overdone body lotion baskets and gift cards and bought my family members an emergency kit for their car. I was building one for myself, and a lot of the items come in bulk so my money went further if I built several kits instead of one. I pride myself as a thoughtful and unique gift-giver, so this kit fit the bill perfectly. After reading dozens of reviews and comparing prices, I checked out a large Amazon shopping cart with the items listed below. Not all of the items came in the exact number needed, but most of the work is done. All of these items split between seven kits averages out to about $17 a kit. Each kit also includes an index card with a list of the remaining items needed for it to be complete. This kit still needs: a radio, spare batteries, complete first aid kit, nonperishable food, a knife/multitool, a completed emergency contact card and a map of the region. There are more items that would be useful to have in a kit, like a flare or a password protected thumb drive with important documents. To keep the price down, I opted out of the more expensive items and gave the basics. It’s easy to go online to see a complete list of recommended items. I’m not very good at surprises, so I already told my sister about her present. She said she’s always known she’s needed supplies in her car and is happy that I got everything together for her. To her, I’m giving the gift of convenience and peace of mind. None of these brands are endorsed by the Red Cross. 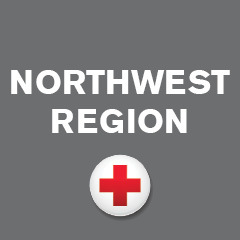 You can purchase fully stocked kits from a number of sources, including RedCross.org.